Why, just before sunrise, does the temperature seem to drop? Just before sunset and continuing throughout the evening the atmosphere near the Earth's surface starts to cool this is called radiational cooling. Not until sunrise is when the sun starts heating up the atmosphere, but this is when you actually see the coldest temperatures of the night. Now since cold air is heavier than warm air this cold air settles to lower elevations. Then when you add in colder temperatures we can actual have our worst frost slightly after sunrise. This occurred this morning at The Pinery since we sit low in the Cherry Creek Valley. We had a hard frost on the lower elevations of the course where the upper elevations had no frost. 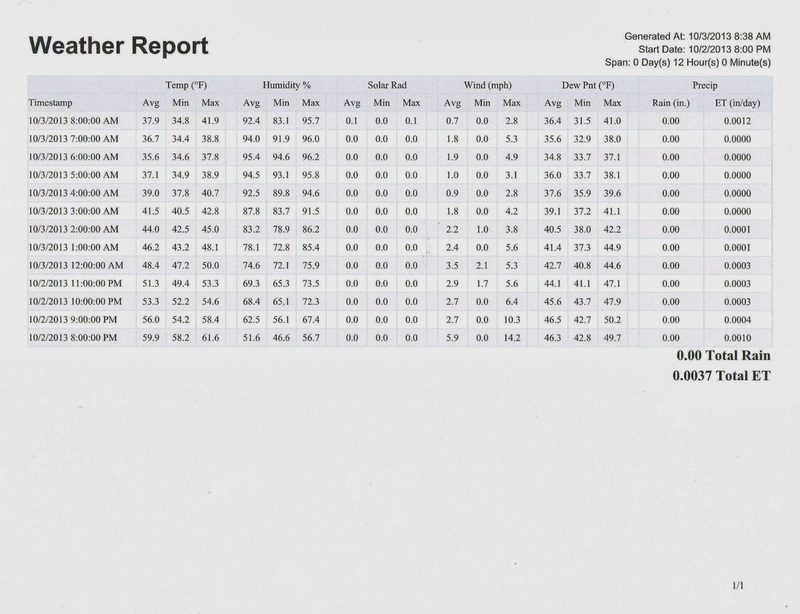 As you can see in this mornings weather report the lowest temperature occurred just after sunrise at 7am 34.4 degrees. So just because you didn't have frost at your home doesn't mean we wont have frost at the course. Always check in with the pro shop in the spring and fall for any frost delays.